Une bande dessiné | One quality, the finest. After visiting the Met recently, I popped into Albertine, a francophile’s delight, just a few steps away on Fifth Avenue. There used to be a French-language bookstore at Rockefeller Center. When it closed due to exploding rents, it left a real void. 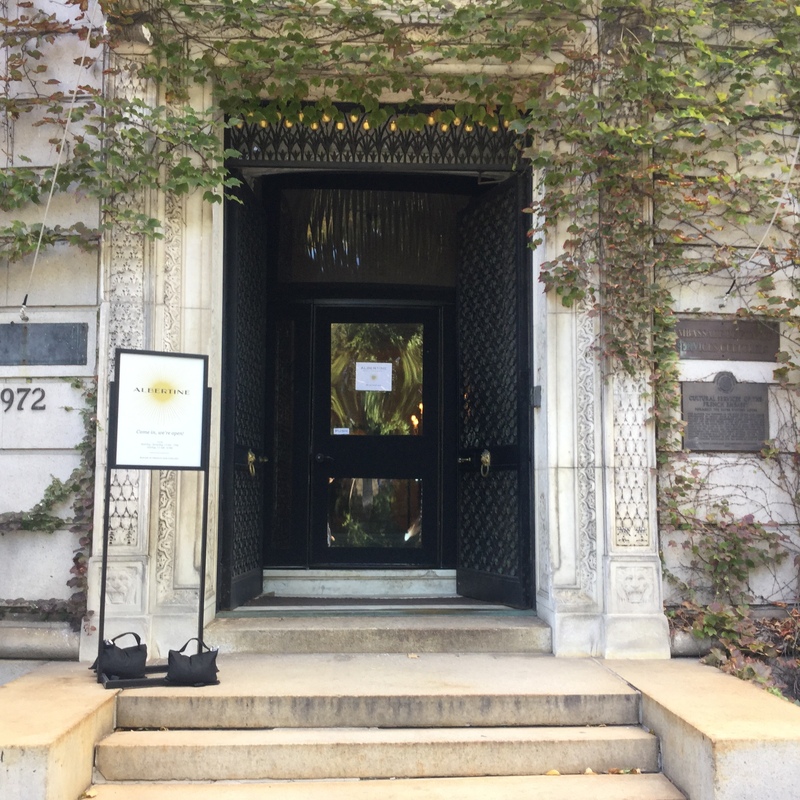 The Cultural Services of the French Embassy stepped up to fill the gap with a gem of a shop stocked with more than 14,000 volumes from 30 francophile countries. The two-level bookstore is simply beautiful, the work of designer Jacques Garcia within the Payne Whitney mansion, a 1902 Italian Renaissance estate. 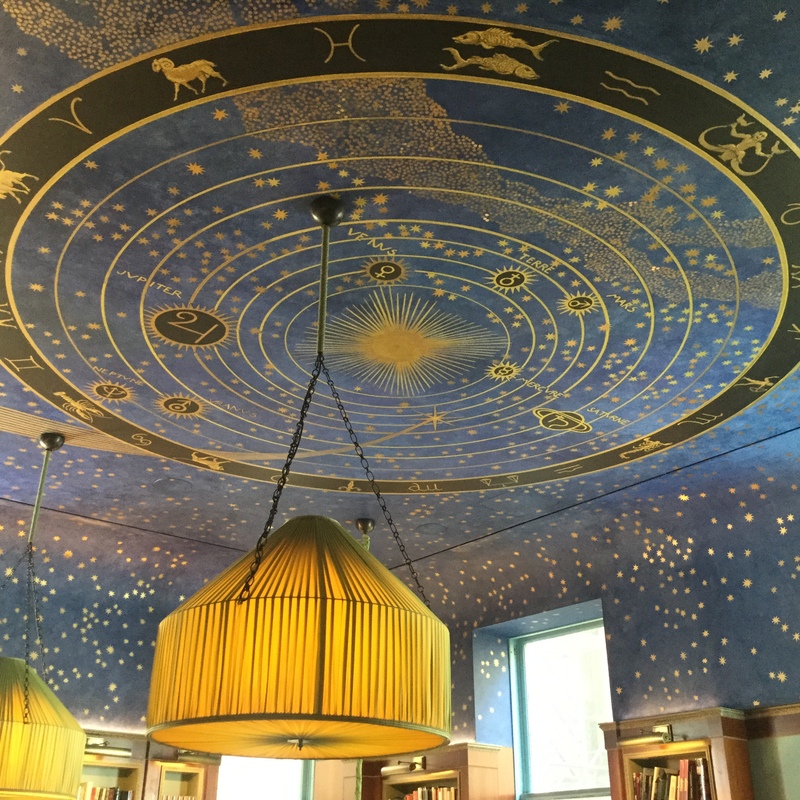 Albertine’s ceiling – a hand-painted mural of constellations, stars, and planets — is alone worth the visit. Busts crafted by the ateliers of the Musée du Louvre of great figures from French and French-American culture including Voltaire, Benjamin Franklin, Tocqueville and Descartes are also on display. Albertine is a central figure in Marcel Proust’s monumental À la recherche du temps perdu. I feel compelled to admit that I gave up the effort to read the seven volume work after 200 pages. Albertine has a bande dessinée (bahnd dess-e-nay) version of the first volume, so I may have to give this classic another try. A bande dessinée is a comic book or graphic novel. These are a hugely important literary form in France. Large sections of French bookstores are devoted to them, including at Albertine. Do you think that it will be legitimate if I resort to a bande dessinée to read Proust? Perhaps if I buy my copy at Albertine. 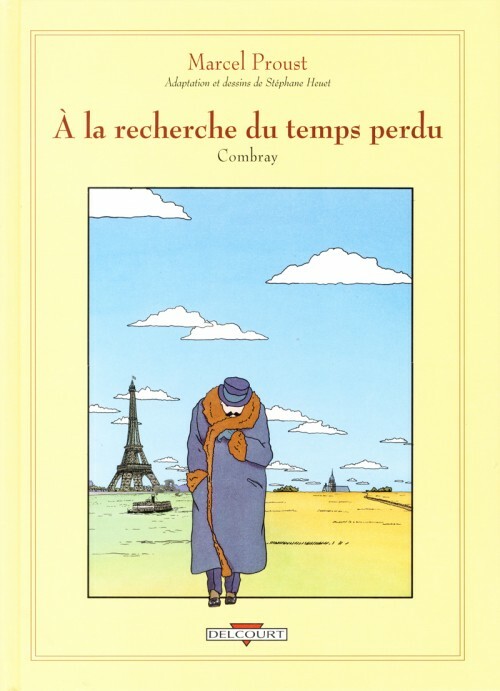 This entry was posted in Literature, Shopping and tagged Albertine, bande-dessinée, Bookstore, New York. Bookmark the permalink.